From his breakthrough rap career in 2011, facing legal issues, to his comeback in 2018, the city of Philadelphia has declared today (March 14) ‘Meek Mill Day’ followed by ‘Meek Mill Weekend’ (March 15-17). His hometown honored Meek at City Hall where he was celebrated for his contributions to hip-hop, his city, and for bringing national attention to criminal justice reform. The Drai’s resident, who was in company of city officials – including City Council president Darrell L. Clarke and his son – thanked his family and friends for the support. “As you see, I got a 7-year-old son. My son is 7-years-old. He may make mistakes in life. 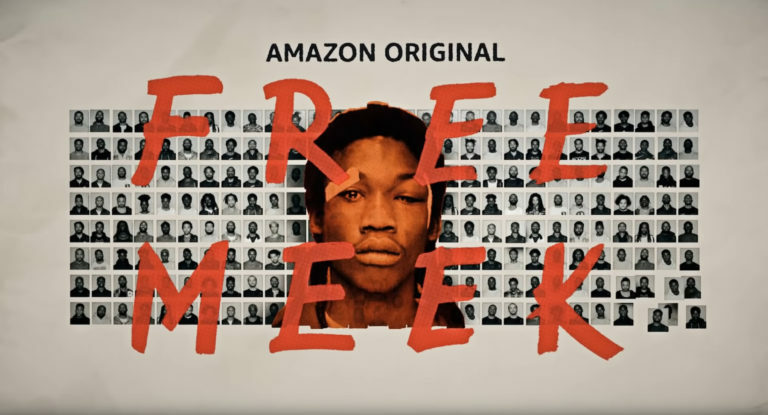 I don’t want my son growing up in a world where if he decided to use marijuana one time, he could spend two or three years in a state penitentiary raised by people he don’t know,” Meek said. “I don’t believe young kids where we come from, minorities like myself, should have a shot like that. I think we deserve better and I’m trying to fight for the young kids that I actually spent time and sat in prison with multiple times for not even committing crime. I want to thank the people here for the support because the support done mattered a lot. I’ve been in prison a few times for probation violation, but the one time that my city of Philadelphia showed me support was the one time I came out of prison, and I want to show the support back and do it for the people that actually stood up for me.” You can watch his acceptance speech in the source link below. Be sure to catch the return of Meek Mill at Drai’s Nightclub in Las Vegas on Saturday, March 30! Click here for tickets.